The Internet and social media can boast of being the game-changers in a number of ways. Not only do they help businesses have an active presence with a global reach, but they have made it that much easier for businesses to connect with their consumers. There is no business that cannot benefit from social media. 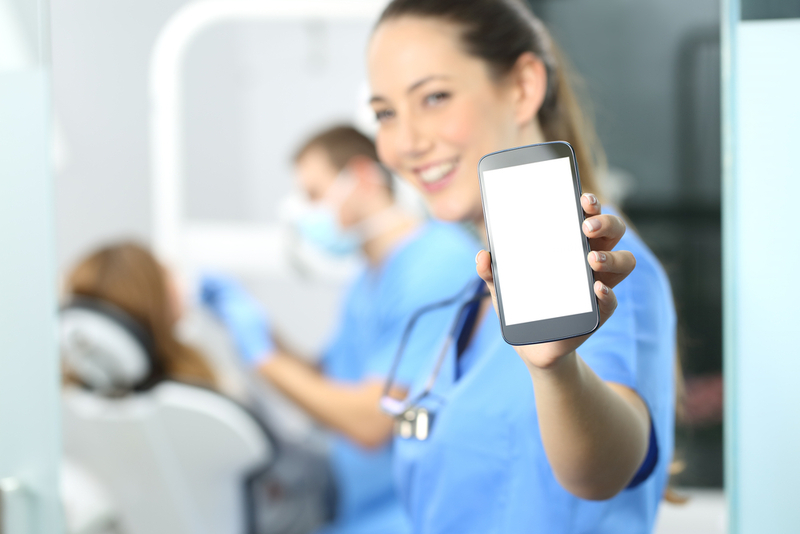 If you have a dental practice, you must absolutely embrace social media to milk the myriad opportunities that it offers. Here are 4 benefits of having a social media presence. An active online identity on social media helps you connect with your patients on an informal level that aids in creating further awareness of the brand and get a better understanding of how potential patients view your business. You can differentiate your brand from the competitors’ in creative ways using social media, stay connected to the existing patients and ‘flaunt’ your strengths to potential patients. Patient feedback is critical in every single business as it helps them get better. Social media is the one place where people do not mince their words and share their experiences honestly. Regardless of whether you get a positive or negative reaction, your response will make a huge difference in losing a patient to your competition or winning them over and strengthening loyalty. Social media also helps you understand what your patients want and run a more patient-oriented practice. Just having a social media page of your dental or orthodontic practice won’t do you any good if you don’t use it. Aim at increasing the web presence as it will help in increasing your SEO and get in touch with future patients. Creating useful, unique and creative content will help you reach new patients; it will also enable your current patients to advocate the great quality of the services you offer. This helps you reach untapped markets you couldn’t have reached otherwise. Every business seeks customer loyalty, and social media is one of the best places to secure it. Your patients may think about leaving your practice for another if they see value in the competitor or are persuaded by their circle of family and friends. Therefore, it is crucial that you constantly generate valuable content and information through different social media platforms. Having a unique voice will help patients remember you. For example, many view a dental visit as an unpleasant and scary experience, but you can have a fun and humorous tone to your social media content. This way, the patients will remember you and even recommend you to their family and friends. Social media sites, like Twitter, Youtube and Facebook, provide a great platform to share relevant and interesting information about your practice. These platforms help in fostering communities and give you a chance to establish and encourage communication with the patients. As long as the content is relevant and interesting, you will find an audience for it. Social media does not discriminate regarding whom you can reach out to. Sites like LinkedIn help in connecting with dental professionals all over the globe. Take advantage of it and connect with industry professionals to share ideas, discuss recent innovations, swap case reports, ask for advice and take in industry news. Needless to say, these connections can be extremely invaluable. There was a time when the only way to know about new procedures, policies, laws or general dental and orthodontic information was through print publications or seminars. Social media changed all that. There are numerous dental-specific news sources that are constantly updated by thought-leaders covering a broad range of topics. Blogs are another excellent source where ideas can be shared by the experts. By connecting the blog to Facebook and Twitter accounts, the authors can be contacted easily. Understand that the online community will take a little time to grow organically, so don’t be disappointed if there are fewer followers initially. Don’t give up — keep creating content, engage with the patients and you will see the growth gradually. Emily Taylor found the perfect fit for herself as the Online Marketing Manager at Thurman Orthodontics in Fresno CA as she believes that a great smile does more than just make a person look great – it makes them feel great as well. The power of a smile has always been a mystery to Emily and she loves researching and writing about it. She loves to write about everything to do with a healthy bite and a beautiful smile – whether it is ways to achieve them or the importance of them in the various aspects of life. What brings a big smile on Emily’s face is her family and surfing. She also likes to bake and her children and co-workers call her the cookie fairy!